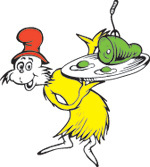 Today is the birthday of Dr. Seuss. He published 44 children's books including the bestselling Green Eggs and Ham and The Cat in the Hat. 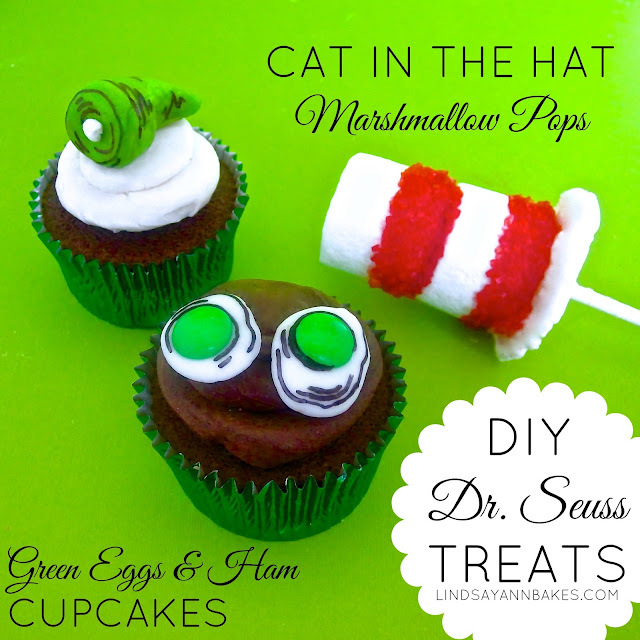 In his honor, I created some fun "Green Eggs and Ham" cupcake toppers and "Cat in the Hat" marshmallow pops that are simple to make and perfect for themed parties! 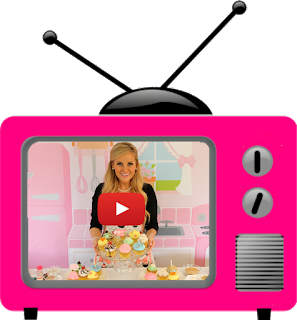 You can use these as cupcake toppers or simply serve them on a little plate. - Dab a dot of melted white chocolate (or tiny piece of marshmallow) for the white dot in the center of the ham. - Draw on cartoon details with edible black marker (or black food coloring and a fine tip paintbrush/toothpick). - Melt some white chocolate according to instructions on package and spoon "egg shaped blobs" onto a piece of wax paper. - Place a green M&M in the center while chocolate is still wet. - Once dry, draw on cartoon details with edible black marker (or black food coloring and a fine tip paintbrush/toothpick). Flatten 1 marshmallow for the brim of the hat by smushing it in between wax paper with your hands or a rolling pin. Use powdered sugar if it gets too sticky. Take the other 2 marshmallows and dip the bottom half into a bowl of water and then roll in red sugar sprinkles. Shake off excess water before rolling in sprinkles if needed. Assemble one marshmallow on top of the other (red part on bottom) and place on top of flattened marshmallow. Push lollipop stick through all three marshmallows.